Steve Barry Trio – CJC – The Golden Era of Kiwi Jazz? A jazz friend said to me after the Steve Barry gig, “perhaps this is the golden era of New Zealand Jazz”? That stopped me in my tracks because I had posed the same question to another friend three weeks earlier – same words – same sentiment behind it. We were shaking our heads in wonder at what we had just heard – seriously good Jazz at the CJC led by pianist Steve Barry and accompanied by Alex Boneham (b) and Tim Firth (d). Once again a Kiwi born artist was dazzling us with incredible music and it arguably matched the fare of a good New York venue. These days Steve Barry is a fixture on the Sydney Jazz scene but his fame has spread beyond Antipodean shores. That he is especially well known and greatly respected by musicians is hardly surprising as his chops are exceptional. This is probably Jazz for grown ups as it tends toward the cerebral. To those immersed in this music, treats like this are to be savoured and surprisingly they have come our way fairly frequently this year. The first number opened with a complex interplay of polyrhythms – like a screw being tightened by degrees as the tension slowly built. As the band coalesced,the momentum shifted and the air was filled with textured sheets of sound being skillfully laid down one atop the other. The second track ‘Ambulation’ took a route that Brad Mehldau or Keith Jarrett might have taken – utterly modern in its approach. This was a band that surprised again and again and for those paying attention to what was unfolding, there was a big pay-off. Next we were treated to a few Jazz standards; the first of which was George Shearing’s ‘Conception‘. After that the band moved to a slower paced offering as they executed one of the nicest versions of ‘I’ve grown accustomed to her Face‘ (Lerner & Loewe) that I have ever heard. Gentle and exquisitely voiced piano, perfect brush work on the drums and a bass solo that worked perfectly. The piece closed with a lovely arco bass and mallets and it was not hard to see why this juxtaposition of complex songs with gentle standards was pleasing to the audience. What an adventurous pianist like this needs is risk taking partners and he had certainly chosen well with Alex Boneham and Tim Firth. Boneham’s abilities were amply matched by Firth, who could move from colourist to hard-driving power-house with ease. Some of his work on the snare left us genuinely astonished. Although it hardly seemed possible the second set was pitched at a greater intensity than the first. 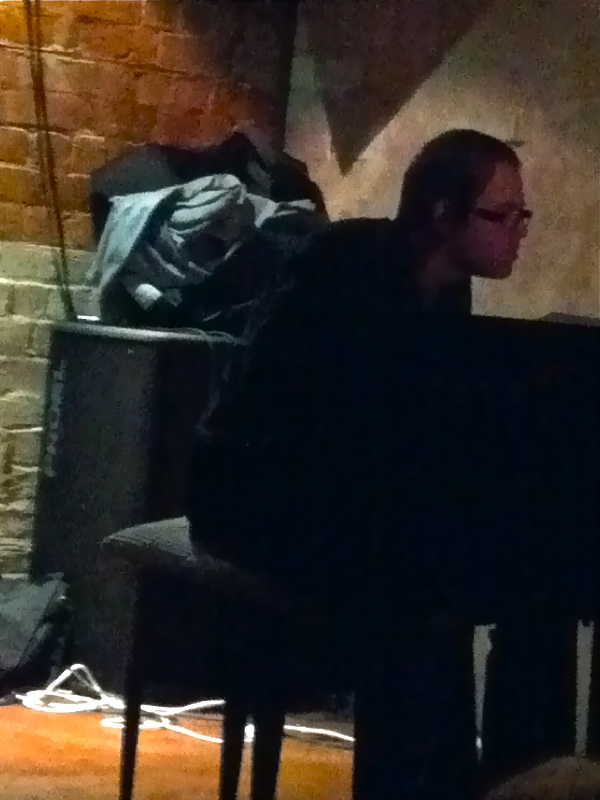 Those sitting near me were watching intently as each move by the musicians revealed new wonders. The last number ‘706 Blues’ was riotous and fun, but as with the earlier numbers it was music with a twist. This is indeed a golden era of Kiwi Jazz.